Seasoned gardeners say that the last threat of frost in our area is the full moon in February. But last night’s (Mar. 28) full moon brought us 45 degrees in Fort Myers! 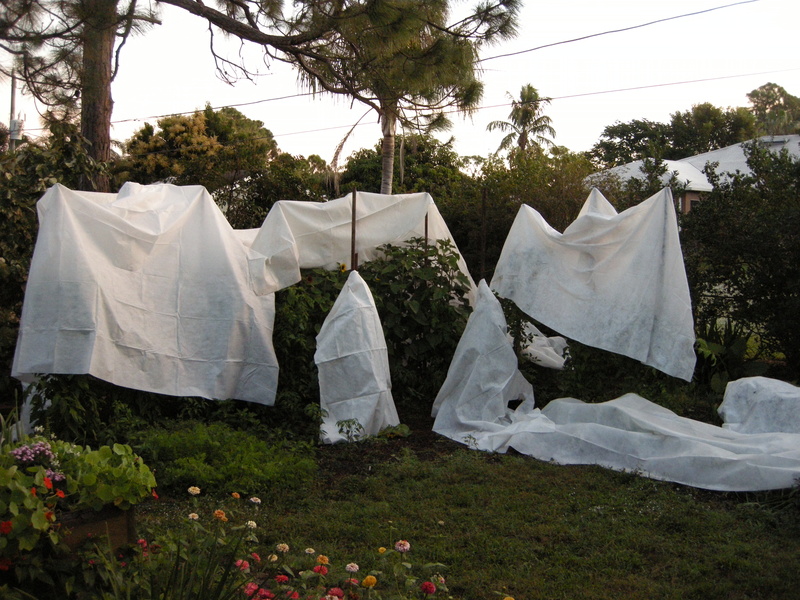 Here are our tomato plants staked and draped with frost fabric last year. No ghosts, only tomato teepees, two days before Christmas. Next Post Do pesticide applicators die young?